Shadid was invited to speak to the church board to better educate it on the possible roadblocks that might present themselves and stand in the way of the property sale. Shadid was told the potential buyer has become nervous due to recent publicity surrounding a possible demolition. Shadid said that he would be in the Oklahoma City Council meeting at that time and could not attend. Due to related concerns, Shadid brought up the subject at the most recent city council meeting on Feb. 12, recognizing that the city might need to take action or risk losing yet another building with historic and architectural significance. 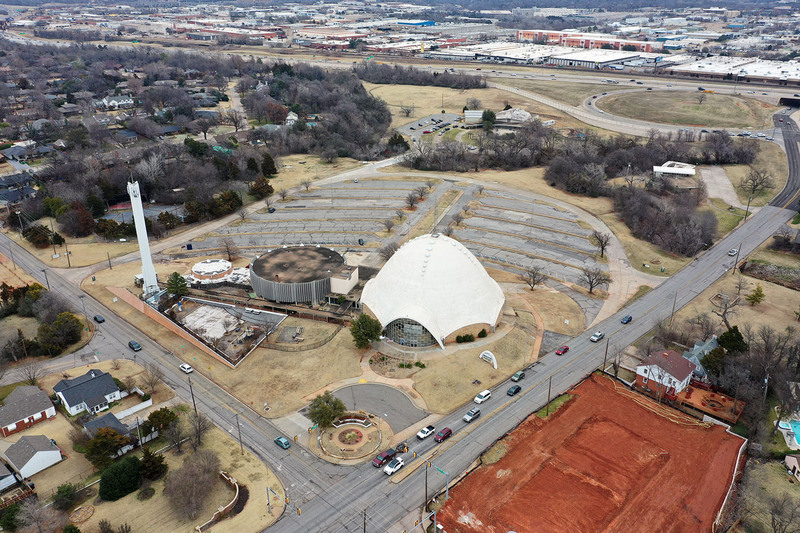 Just in the last few years, the city has seen the demolition of Stage Center and United Founders Bank, and nearly lost the Donnay Building at Classen Circle before Braum’s Ice Cream and Dairy Store’s plans met public opposition and were ultimately withdrawn. Because First Christian does not fall within the geographic boundaries of a city design review committee, demolition merely requires a simple permit that is often issued the same day an application is submitted. Oklahoma City Council can vote to designate any property within city limits as a historic landmark. Once in place, an owner or future buyer would be required to obtain approval from the Historic Preservation Commission before any significant exterior modification can be made, including partial or full demolition. As the current owner is likely to oppose such a move, positive votes from at least 7 of 9 council members would be necessary. Only a simple majority is required without owner opposition. Shadid said he will introduce a historic landmark resolution for the church property at the March 12 council meeting. Although there is a meeting scheduled for next Tuesday, the deadline for placing an item on the meeting agenda has passed. For over a year, the church has attempted to sell the property, which is comprised of several buildings set on a scenic 32-acre plot bordering the historic neighborhoods of Crown Heights and Edgemere Park. The site at NW 36th Street between Walker Avenue and Interstate 235 drew an ambitious commercial development proposal in 2008 that was ultimately withdrawn due to public backlash. 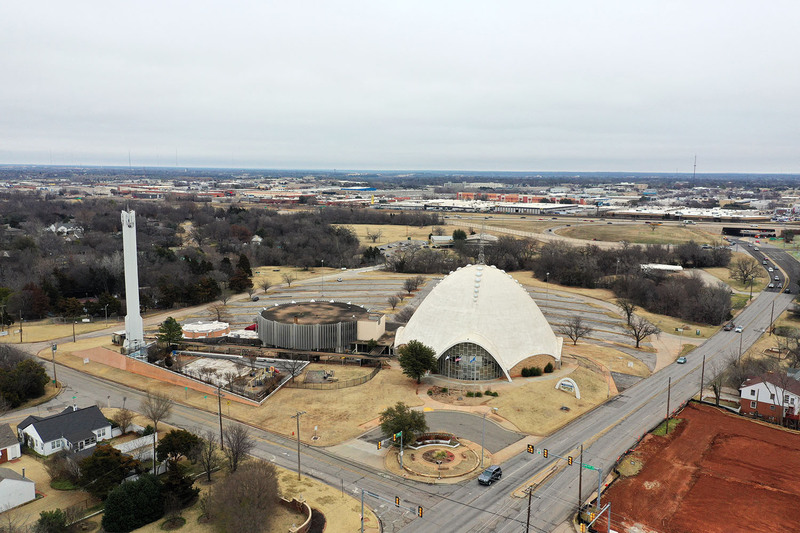 In addition to the soaring domed sanctuary that was built in 1956, the property also includes the Jewel Box Theatre, an office building for Oklahoma Disciples, Trinity School and a large amphitheater. Indications are that the church now has less than 100 members and due to the size of the main sanctuary, now hold services in an ancillary building instead. There is currently a petition drive to save the buildings by local preservationist Lynne Rostochil, who was involved in a similar movement in support of the Donnay Building. Rostochil's grandfather, architect R. Duane Conner, designed First Christian,.